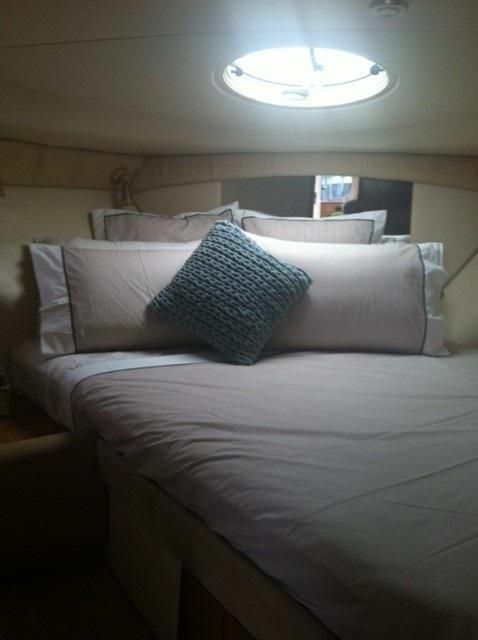 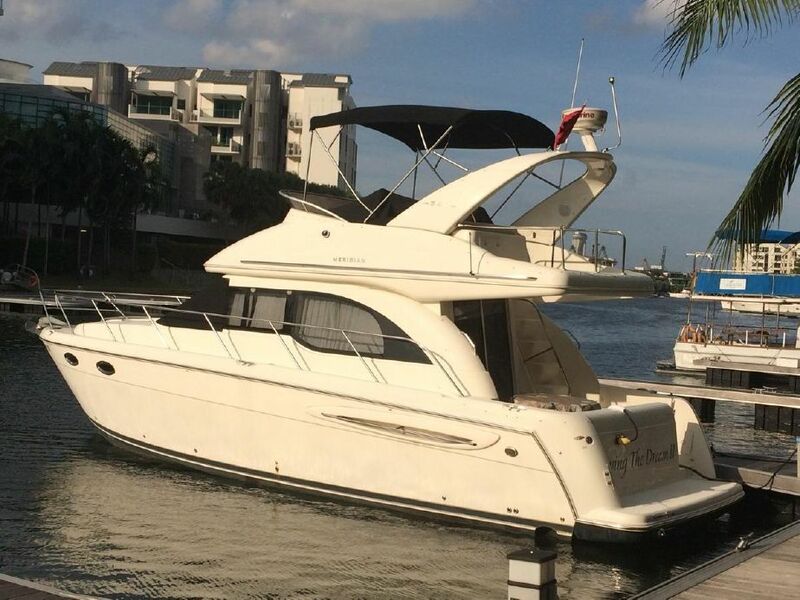 This exceptionally well kept 341 Meridian is new to the market and waiting for her new owners. 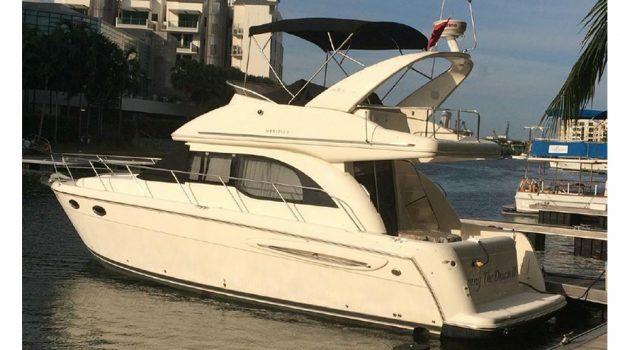 Powered by twin 320 HP Mercruiser gas engines, she cruises at 20 knots in comfort and style. 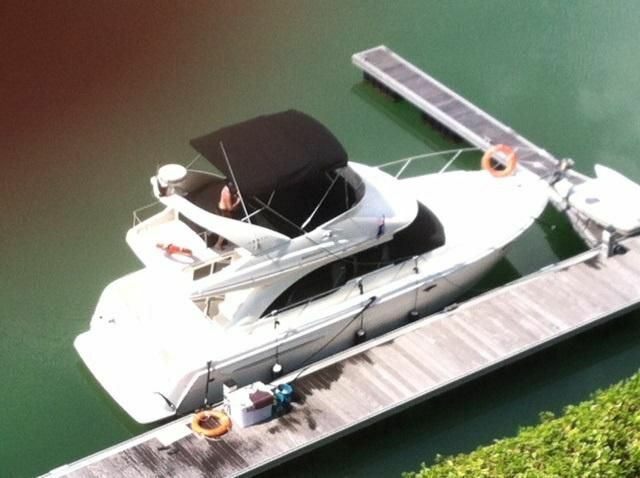 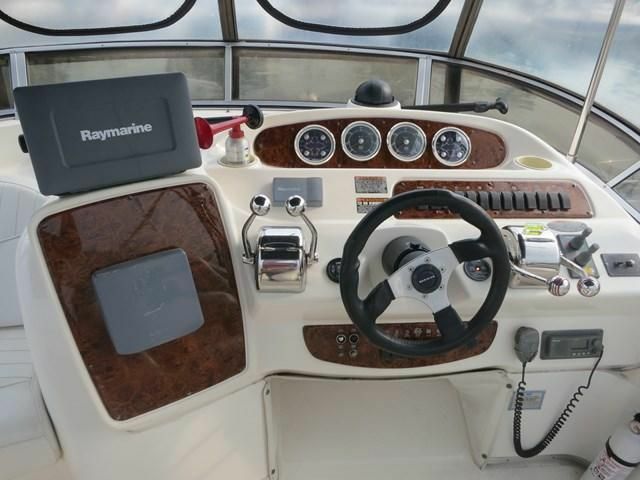 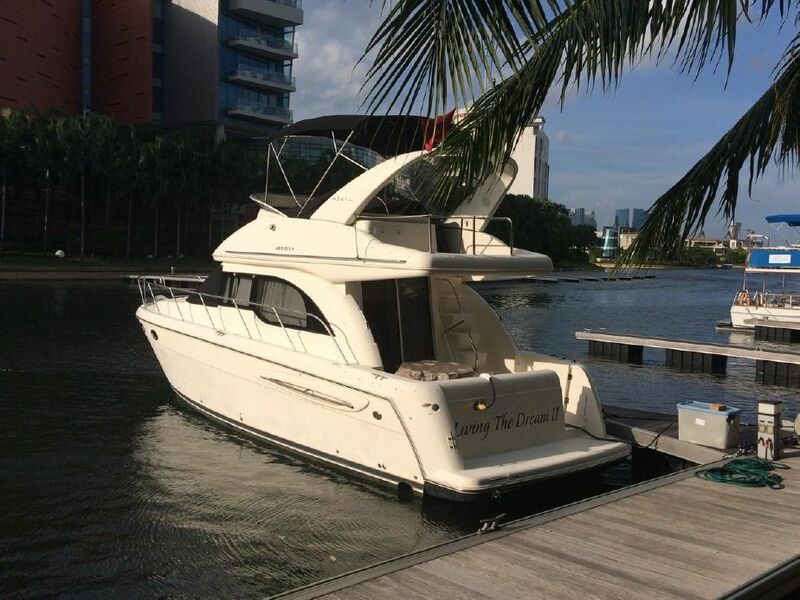 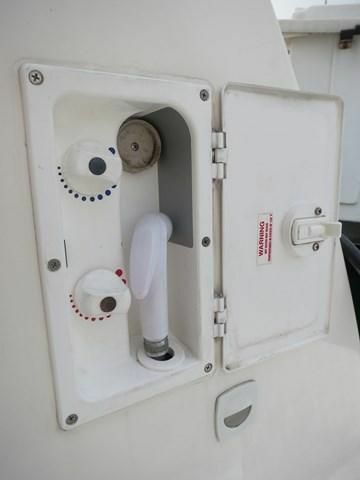 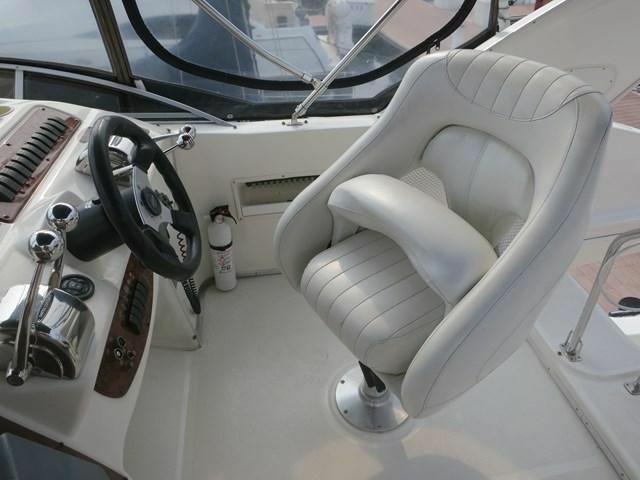 Well fitted boat with Raymarine GPS/Chartplotter, radar, new battery charger and batteries and much more. 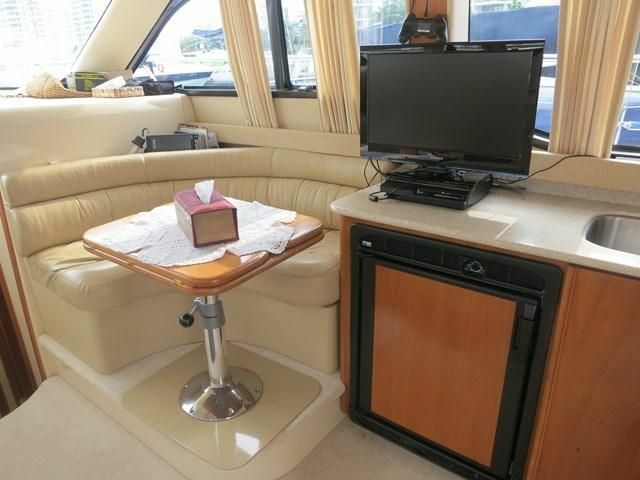 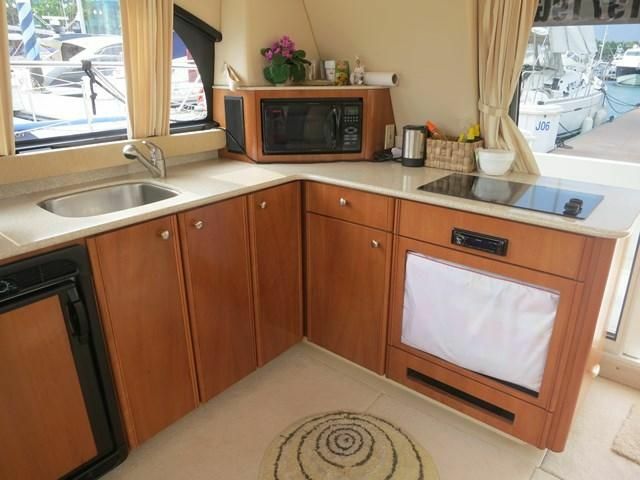 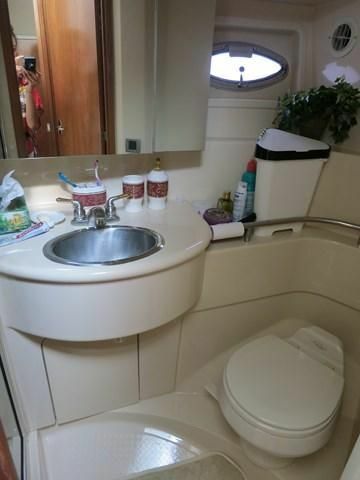 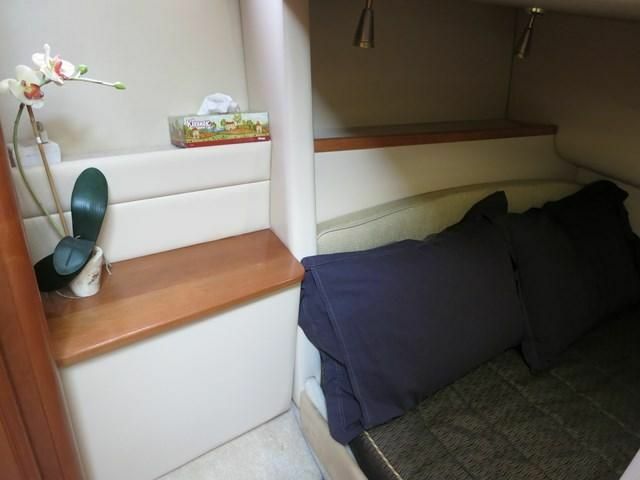 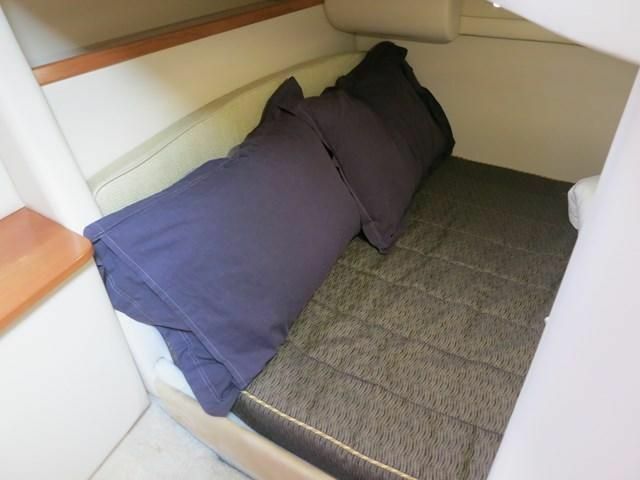 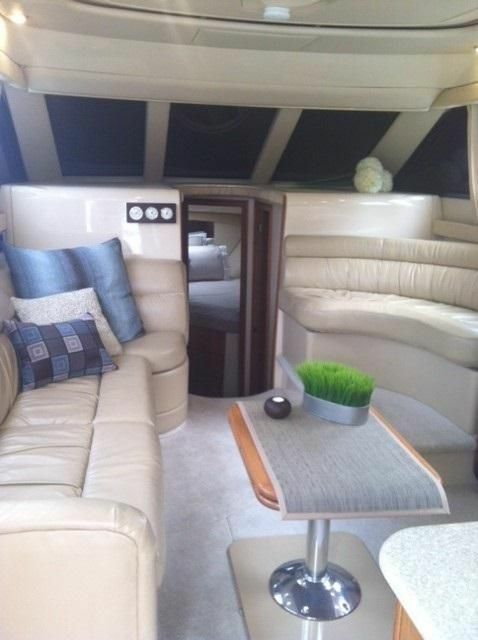 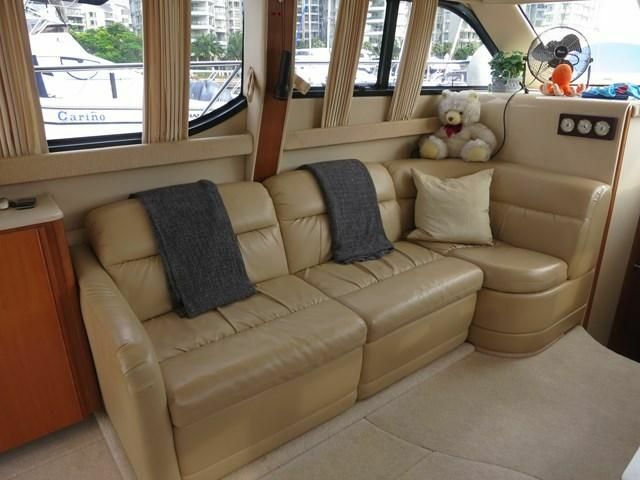 This is a great boat and perfect for a couple or family getaway with her 2 staterooms. 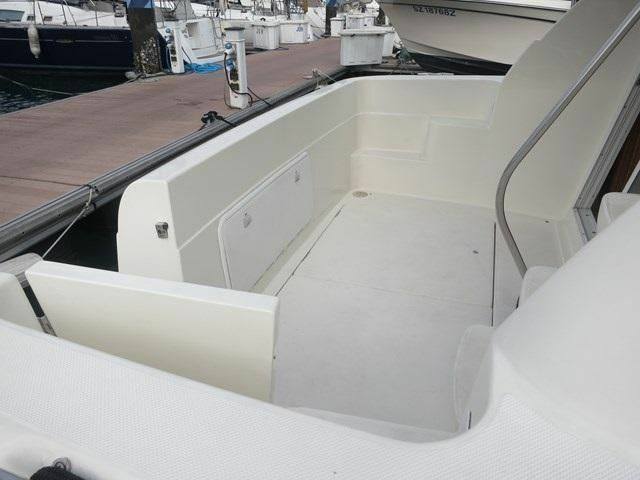 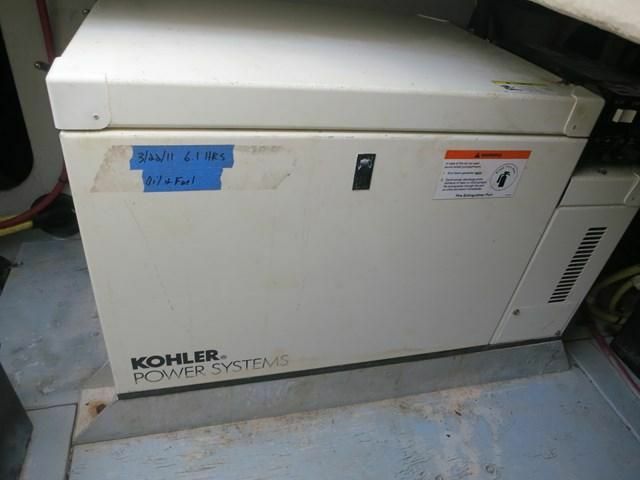 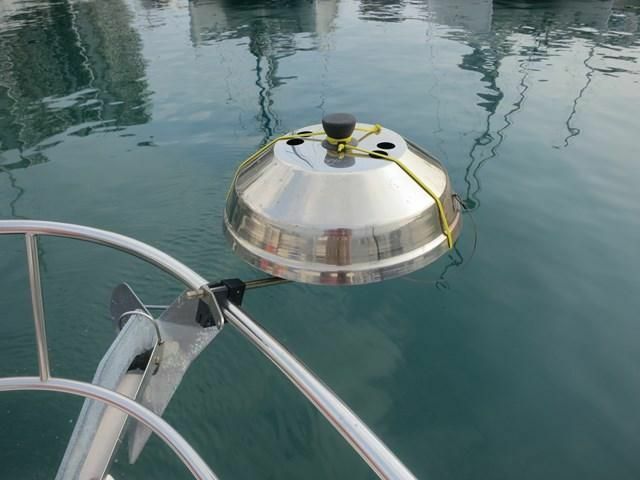 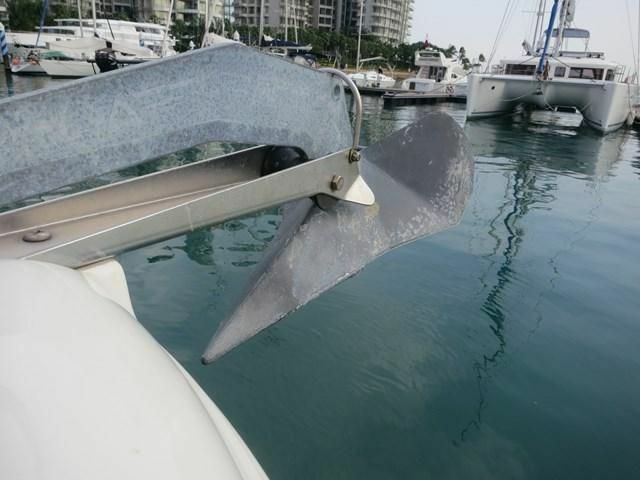 Full canvas with enclosure for the less than ideal days.Tender comes with 3HP Outboard. 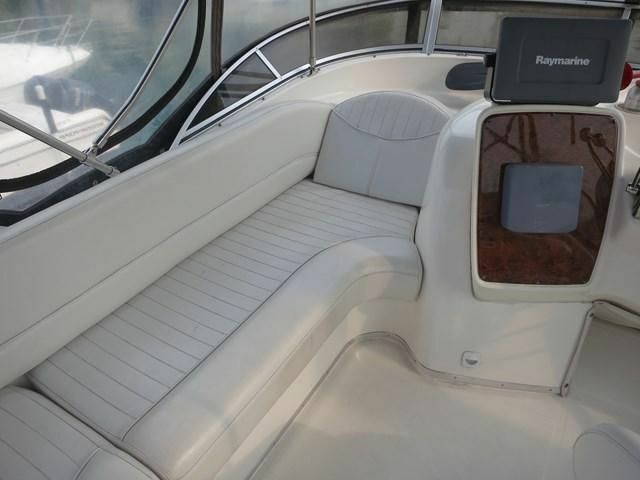 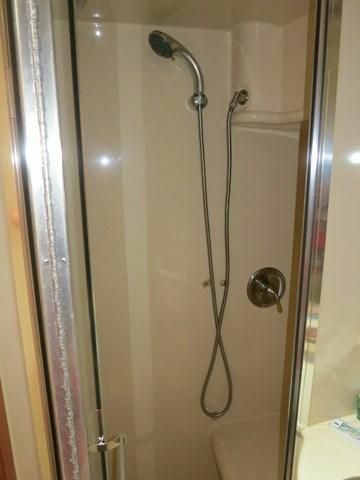 Please send me the full brochure and more information about Meridian 341 Sedan.